Tag Archive | "the most liked business in shoreditch"
Nearby Digital is happy to announce The Happy Sailor, a pirate-themed tattoo parlour as the second winner of its ‘Most Liked Business in Shoreditch’ competition! Well done, Happy Sailor! - We take a fun picture of you and your business team. - You tag yourselves in a picture and ask your friends to ‘Like’ it. - The photo that has the most ‘Likes’ will win and at the end of each month we will announce – the most Like’d business in Shoreditch. So get ready as we will be knocking on your door soon! For more information contact us: like@nearbydigital.com or just post your question on the wall! 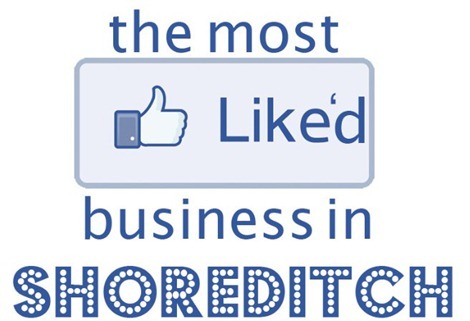 Nearby Digital team is very happy to announce the first winner of “The Most Liked Business In – Shoredich” competition. 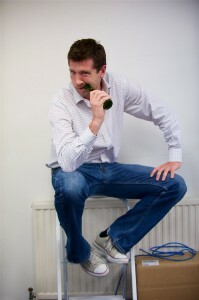 It is Andrew White from FundApps, the company which aims to provide the new generation Financial Services software. We think Andrew should be not less excited as we decided to create a customized Facebook business page for his company (worth around £500). He also will get the first The Most Liked Business badge which can be used in their promotions. It’s been long and a bit tiring month, but it was also a brilliant month as we met so many great people on our way so we just want to say a BIG THANK YOU to everyone who speared us a minute of their time! Also, it’s just the beginning of this long marathon of Most Liked Business In project. A good news is that you can still be a part of this process – we decided that we will allow previous participants to send their new pictures and participate in the competition again, and again and again:) Just get in touch with us: like@nearbydigital.com. In the next few months we plan to expand the competition – we will try to reach more businesses ourselves and companies will be able to arrange the photoshoots themselves. Also the competition itself is planned to be launched in other trendy areas of London like Soho, Camden Town, London Bridge, Covent Garden and etc. Finally, at the end of this project we are planning to launch local recommendations engine which will be called – www.mostliked.in. So keep on following and sharing with us.. 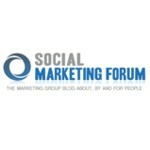 It is the first of its kind location focused social media project concentrated on rating the most liked businesses in certain location with the help of Facebook Likes. The project aims to create stronger relationships between people and companies working in the same area and bring some entertainment to everyday office routines. Another goal is to acknowledge not the brands but the people behind the businesses who are creating value for their communities in lively Shoreditch area. 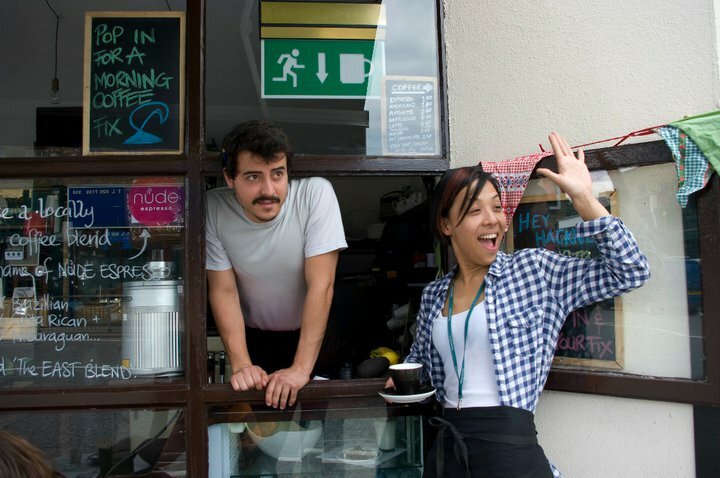 The Most Liked Business in Shoredich competition has started in May and the monthly winners will be announced at the beginning of every consecutive month leading up to the Most Liked Business in Shoreditch Awards at the end of the year. The pictures are taken by Nearby Digital team and uploaded daily on dedicated Facebook Album. The winner is selected by people who have one month to ’Like’ the pictures of their favourite local businesses on Facebook. The companies can participate as many times as they want with the different picture every month.